York is a one of a kind six spoke new from Black Rhino. It’s utilizing a fresh new style that shows a performance oriented nature, combined with an undeniable tough precision constructed look that shows both rugged character with sporty style. Six rubbed spokes create raised triangles that point towards the center combined with its outer lip gives the York a unique hybrid personality of speed and toughness. The cut-through lip pattern adds a nice texture reminiscent of the hollowed out features common in race bred machines. 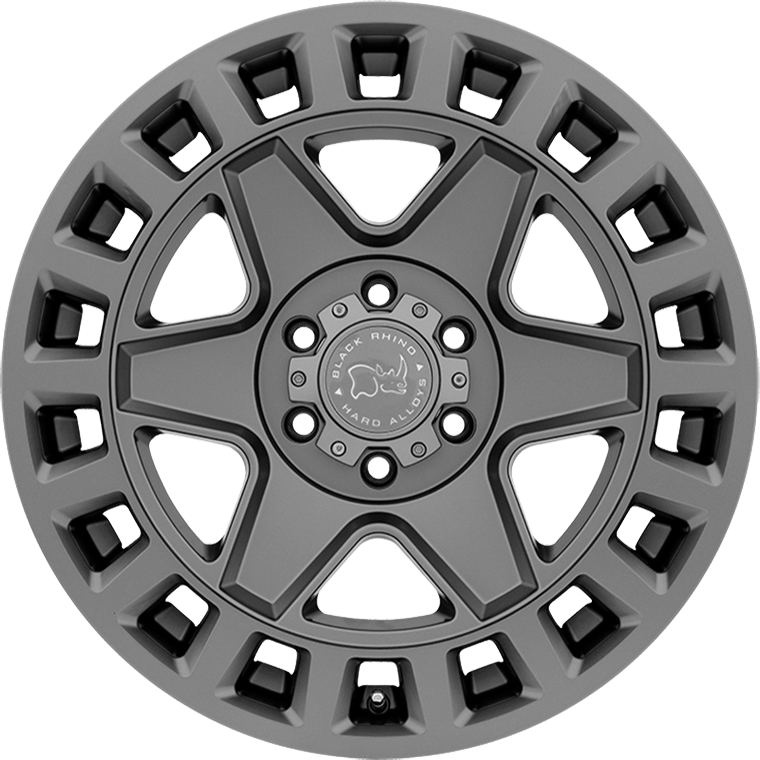 To cover the full range of stock and lifted off highway vehicles, York off road rims are available in 17X8, 17x9, 18X8, 18x9, and 20x9 sizes. Offsets range from -12mm to+52mm for five and six lug bolt patterns.